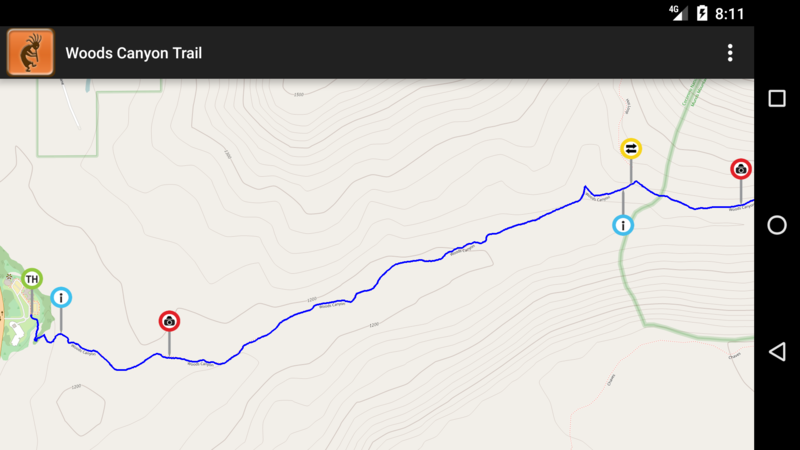 Woods Canyon is an easier hike except for the distance and a couple small elevation changes. This hike ends at Dry Beaver Creek where you can sit and enjoy the running water amid the trees and vegetation. Spring is especially nice with many wildflowers. Pack a lunch to eat by the water. We measured a 252 foot elevation change.